Helga’s Post # 99 — This question is always a matter of debate among writers everywhere. I too have been fascinated with it for as long as I have been writing. I would love to learn how writers, and especially successful authors, start out. What provoked them to go from mandatory school assignments to voluntary writing later in life? What compels them to follow the call, to take on the kind of writing that grows into a burning need, before anything else, before career choices, financial considerations, and lifestyle. Writing that inevitably involves sacrifice of one kind or another. My first impulse in the past was to believe that writers are made. It might be as simple as a trigger in early life that propels the child into the writing sphere later. A tiny spark, that if kindled and nurtured, turns into a fire that can’t be doused. Is that what makes a writer? Opinions are divided, as you will see from some quotes below from one famous author. The question came to me again after fellow writer Joe’s last post, Writing a Story Like an 8 Year Old. Joe, proud stepfather, posted a copy of a story his ‘youngest’ brought home from school. It got me thinking again about the issue of how writers become writers and authors. I would not be surprised if Joe’s ‘youngest’ will become a writer. Here’s why. It’s obvious, his stepdad is proud, as he should be. Ah, praise! Much under-rated, and not applied often enough. It’s a powerful tool to develop talent, to nurture a budding writer. I am sure ‘youngest’ received lots of praise, and praise begets pride and confidence. Praise may just be that trigger, that tiny spark that will channel his interest in the direction of writing. It might not be obvious to him for some time, perhaps years, or it may happen sooner. Now that he’s had the sweet taste of success it could well spill over into more achievements as he matures. Something similar happened to me when I was a kid. Come to think of it, I too was at that age. Grade two if I remember correctly. Our December assignment was to write an essay titled ‘The First Snow’. It was one of my first essays. To my huge surprise, even disbelief, I was awarded an ‘A’, but the icing on the cake was the teacher’s announcement that my essay was best in class. She then proceeded to read it to the class. My words read out loud by a teacher! All to say, that did it. I was caught like a fly in a spider’s web. That tiny achievement roused my passion for writing and of course reading that never left me. ‘Book worm’ my mother would scold me when I read with the flashlight after lights were turned out. My dad had the great idea that I should learn typing. I was twelve at the time. My Christmas present that year was a Remington portable typewriter. I was delighted and once I mastered touch-typing (a surprisingly easy task at that age), I produced one short story and essay after another, limited only by the availability of paper – which was in short supply at the time. But my dad’s reason for gifting me the Remington was different. He wanted to prepare me for my future ‘career’ as a typist, to work in an office, and perhaps if I was really good, become a secretary. Lofty inspirations, but understandable in the context of the lean post-war years in Europe. His advice, which he fostered by contacting his contacts in the civic government of Vienna, was to get a typist job in the department responsible for funerals (a nationalized industry at that time). His logic? You will never be out of a job, he said, no matter what happens. Not so fast. I immigrated to Canada instead. Graduated from university in my adopted country. Kept my love for books throughout my professional career, although writing in earnest would have to wait a while. But once stricken, as I was early on with my first essay, one can never walk away from it. Back to the question: Are writers born or made? 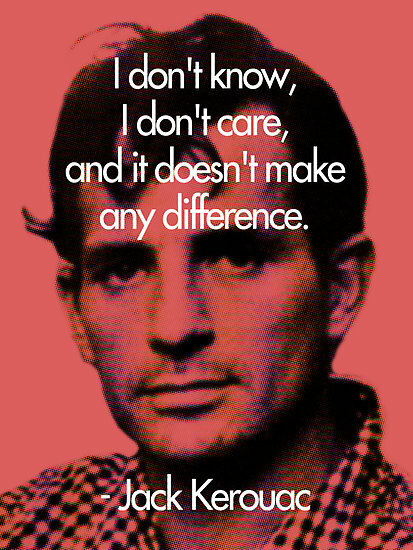 I found transcript of an interview between Writers Digest and Canadian author Jack Kerouac (author of On The Road) from 1962. Here are some excerpts. So here you have it. The question remains unresolved. 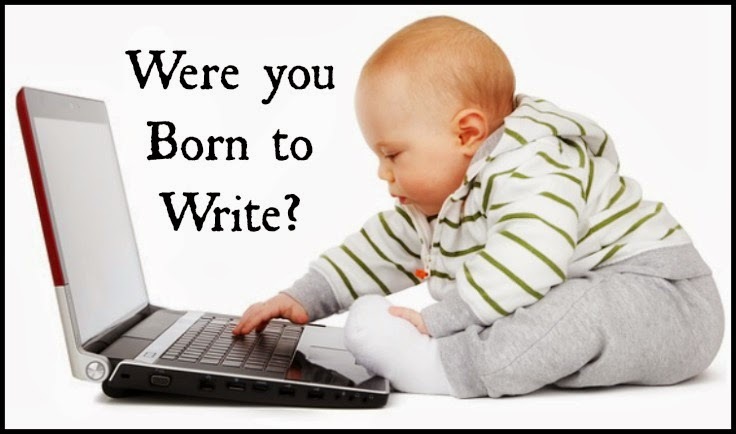 Are writers born or made? Made or born? We discussed the issue over dinner. My husband believes writers are definitely born, not made. He doesn’t buy the theory of the ‘spark’ suddenly igniting a young person’s writing future. Rather, that spark could not have happened if the youngster did not already have it in him. To write that first successful piece is the result of inherent genius. Not every one born with it will pursue it, and that’s where encouragement and praise will play a part. But a writer is born, period. I argued in favor of writers being made not born. But I’m not so sure now. The jury is still out. Just Google the question and you see what I mean. The debate rages on and may do so forever. This entry was posted in Writing and tagged Gertrude Stain, Jack Kerouac, writers' talent by Helga Bolleter. Bookmark the permalink. It’s a question that will never get a definitive answer, but my opinion is that there needs to be an intrinsic propensity for creativity. That alone won’t make someone into a writer, but without it, I don’t think he has a chance for success. The creative person looks beyond the obvious and strives to express himself (you get that I’m choosing one gender just for convenience here, right? ), whether it’s through words, art, music, sculpture, photography, film, floral arranging, etc. We teach language to children from an early age, but if they never become intrigued by words, even though they learn to manipulate them in school, without that so-called spark, their stories won’t contain magic. I believe there are many writers who have learned to write successfully and are even well published, but whose writings don’t contain magic. One person writes; another creates written works of art. There are lots of visual artists in the world, too, who make a good living at what they do, but they will never become famous for their art. Carol, that’s a good take on a complex topic. I like your logic about differentiating writers and ‘good’ writers. Thanks for sharing your thoughts on this! Helga, I think it was Einstein who said that imagination is a key characteristic. Perhaps imagination is part of the originality of style that is important for writers and referenced in your article. Regardless of whether writers are born or made, this is s my encouragement to you: keep on writing. Good find, Liz. Indeed, he said knowledge is less important than imagination, because according to Herr Doctor Einstein, ‘Knowledge is limited. Imagination encircles the world.’ Thanks for the follow and tweet! Well Helga, your topic has got me thinking. I do believe that geniuses are few and far between and these special minds have curiosity and insight that others, even very intelligent people, don’t quite have. It’s that extra “magic” that seems to express itself whether in the arts or sciences and is recognized and honored and kept alive far beyond the life of the genius him/herself. So, yes, I believe that the “magical” writers are born with a special talent that may need time to develop, but nonetheless still emanates from a genius mind.